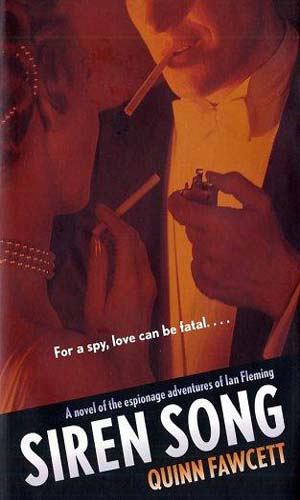 Ian Fleming is an operative for British Intelligence. It is has been well documented that Ian Fleming was, during the Second World War, a noted member of the Intelligence community, giving him considerable experience for use when writing the famed James Bond novels. After the war, Fleming turned to journalism to pay the bills until his books could find their eventual success. 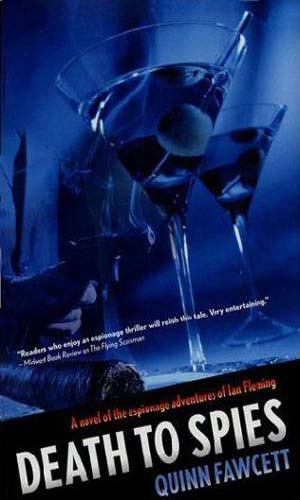 In this three-book series, the premise is that Fleming was not allowed to remain out of the "business". His knowledge of the craft as well as the people still in the business, coupled with his credentials and cover as a journalist, he would be the perfect person to use when things get dicey. During the course of these adventures, Fleming is supposed to have come across others who had traits he admired or thought interesting, and some aspects of his own persona as well, that he realized would make a dynamic secret agent, eventually creating Bond. The style of writing is purposefully similar in nature to Fleming's, especially when it comes to the food that the protagonist eats, the beverages he consumes, and the women who enter his life. Furthermore, the books possess the same feel of a travelogue that many of Fleming's book did, including his Thrilling Cities. The adventures that Fleming have do not compare with those that Bond had nor do the villians. In general, the activities are rather subdued. It is possible that this was by intention of the author as it may have been an amusing theory of how Bond came to be in Fleming's head more than actually trying to suppose that Fleming really was the prototype for Bond. 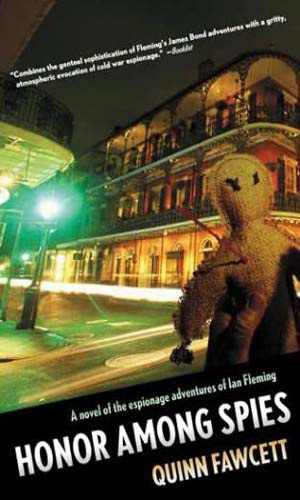 The three-book series written by "Quinn Fawcett", aka Chelsea Quinn Yarbro and Bill Fawcett, depict three adventures where the famed creator of James Bond was involved in derring-do's much as his fictional character would do. There are likely more books which have Fleming as a character, either major or minor. A ranking member of British Intelligence comes to Jamaica to ask Ian Fleming to help find out who is stealing nuclear plans in the U.S. and selling them to Russia. At first he declines but events force his hand otherwise. British Intelligence agents approach Ian Fleming with a dossier about an American said to be selling secrets to Russia. He declines to look at it, suspecting their motives, but when a friend is attacked someafter, it looks like other forces are at work. A former colleague, now a private investigator in New Orleans, asks Ian Fleming's help to find out who killed a beautiful young bride. The clues point to a strange cult run by a woman both men had experience with during the War. I have never been a fan of using real people in fictitious situations. In fact, I can think of none that I really liked except for Elliot Roosevelt's terrific series about his mother, Eleanor. This bias against this series kept me from reading it for the longest time. I can't say that my attitude has changed any but I do have to complement Mr. Fawcett for having come up with three entertaining plots that feel plausible. And adapting Fleming's style of writing was certain to be an homage to the creator. Truly, I have mixed feelings. I don't like the concept but the execution is darned good.